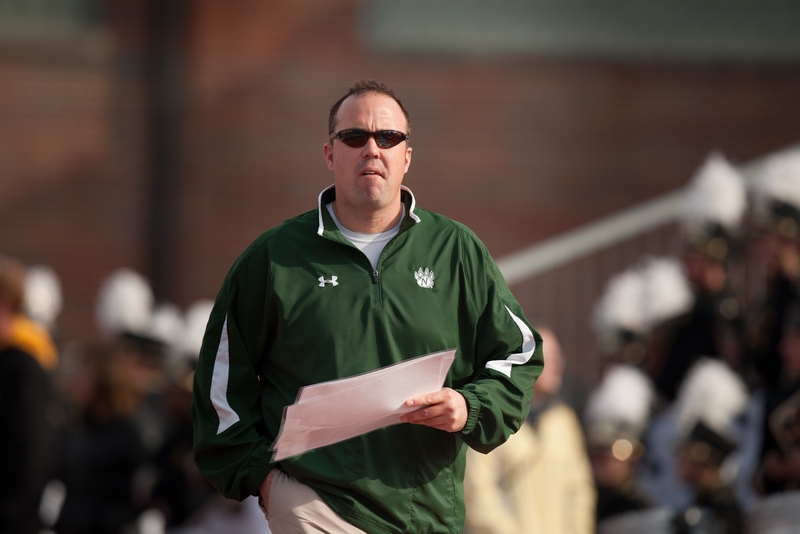 Northwest Missouri State University named Adam Dorrel, the Bearcat football program’s offensive coordinator and assistant head coach, has been named the team’s 19th head football coach. Dorrel, succeeds Scott Bostwick who died June 5 after suffering an apparent heart attack at his home. Dorrel, a member of the Bearcat coaching staff since 2004, takes over a program that enters its 96th season three wins shy of 500 (497-388-33) and owns a 46-game regular season winning streak against MIAA opponents. The Bearcats have made the NCAA Division II football playoffs 13 of the last 15 seasons. As offensive coordinator, Dorrel helped lead the Bearcats to an unprecedented five straight NCAA Division II championship appearances and the program’s third national title in 2009. In his seven seasons as a full-time coach at Northwest, the Bearcat football squad is 87-14 (.861) with five MIAA championships.